A sneak peak at three well known landmarks. EA have released a brand new video for SimCity which reveals three landmarks in the game. The new video shows popular and well known landmarks like Eiffel Tower, Brandenburg Gate and the Big Ben Clock Tower. 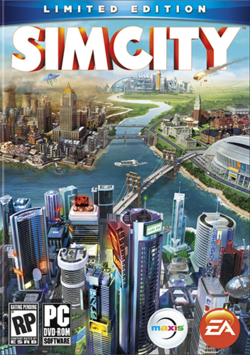 These three core components of the city sets that are available in the upcoming SimCity Digital Deluxe Edition. And just like the usual SimCity gameplay mechanics, you can shift around these landmarks and the surrounding architecture will change on it’s own. The game is due this March for the PC. Are you looking forward to the game? Let us know in the comments section below.